Heidi Mastrogiovanni is a dedicated animal welfare advocate who lives in Los Angeles with her musician husband and their three rescued senior dogs, Chester, Maggie, and Squeaks. She loves to read, hike, travel, and do a classic spit-take whenever something is really funny. Heidi is fluent in German and French, though she doesn’t understand why both those languages feel they need more than one definite article. Heidi is a graduate of Wesleyan University and was chosen as one of ScreenwritingU’s 15 Most Recommended Screenwriters of 2013. The comedy web series she writes and produces, Verdene and Gleneda, was awarded the Hotspot on the Writers Guild of America’s Hotlist. The podcast she is working on with “a sublimely fabulous co-host, an insanely superb producer, and two of the most brilliant voice talents in the history of…um…voice, I guess,” will be released in 2017. Thanks to the years spent in Manhattan, Heidi is a dedicated walker, with the philosophy that no trek is too great to be mastered and savored. “And that’s kind of a metaphor for life, don’t you think,” Heidi has often been heard to pant when hoofing it for distances that any native to Southern California might dub utterly absurd by any reasonable standard. 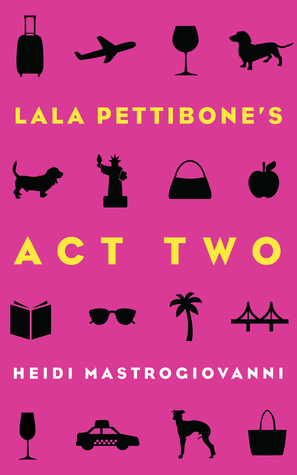 Lala Pettibone’s Act Two, Heidi’s first published novel, embraces the themes found in all of her work… It’s never too late to begin again, and it must be cocktail hour somewhere. 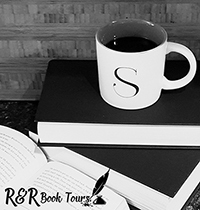 I would like to thank Paxton at PR by the Book for sharing the information on this book. Make sure to check out #LalaPettibonesActII.